WVZ Kubicka Inv.Nr. 13.08, ca. 39cm X 50cm, Oil on board. The „Man in the city“ from 1913 is one of Kubicka“s earliest known painted work. 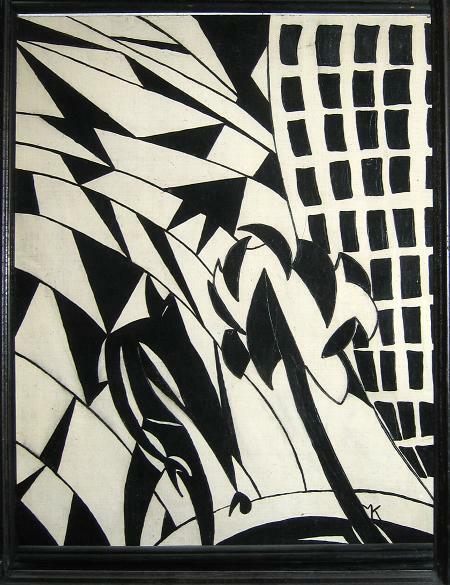 Margarete Kubicka was born in 1891 in Berlin. In 1911 she studied to become a drawing teacher at the Royal Art school Berlin. There she met her future husband Stanislaw Kubicki who joined the school too. They married in 1916. In the following year she became founding member of the Polish expressionist group „Bunt“ (Revolution) in Posen. A first „Bunt“ exhibition was held in Berlin in 1918 together with Stanislaw Kubicki, Jerzy Hulewicz, Wladislaw Skotarek, Jan Wroniecki, Stefan Szmaj and and August Zamoyski. The „Bunt“ edition in the art magazine „Zdroj“ (The Source) and a special edition on Polish art in the Periodical „Die Aktion“ was published. Kubicka met and befriended Otto Freundlich, Raoul Hausmann, Franz Wilhelm Seiwert, Else Lasker-Schueler, Marc Chagall and Jankel Adler. She continued to publish woodcuts in „Zdroj“ and „Die Aktion“. In 1919 she and her husband got in touch with the Dresden expressionists Otto Dix, Conrad Felixmueller and with the Dadaists George Grosz and Johannes Baader, later with Oskar Schlemmer, Johannes Becher and Rudolf Belling. In 1922, her husband took part in the founding of the anarchists group „Die Kommune“. They became member of the „Gruppe progessiver Kuenstler“ in Cologne and got to know Heinrich and Angelika Hoerle, Anton Raederscheidt and August Sander. In 1930 they participated in the exhibition of the „Progressiven“ in Chicago. Margarete Kubicka became a teacher in Neukoelln and, later on in 1933, got transferred as punishment to Tempelhof. Her husband emigrated to Poland and they saw each other only sporadically. In 1937 they felt the urge to divorce. Stanislaw Kubicki was detained by the Gestapo and killed at the Pawiak-prison in Warsaw. Margarete Kubicka was confronted with and questioned by the police in Berlin. After the war, she continued to teach until 1956. In retirement her artistic work intensified again. Margarete Kubicka died in 1984 in Berlin. 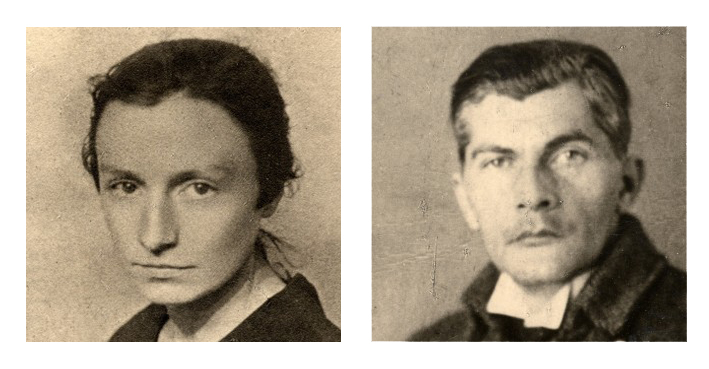 Source: Gluchowska, Lidia: Avantgarde und Libe, Margarete Kubicka und Stanislaw Kubicki 1910-1945″, Berlin, 2007.